(CNN) — Turns out money doesn’t just buy a glamorous vacation in the Caribbean or a killer suite in Quebec — it can buy residency too. While British citizens are rushing to claim Irish passports post-Brexit vote, the world’s most elite travelers don’t bother standing in line at immigration counters. Instead, they enlist in citizenship by investment programs (CIPs), where investing in a country’s economy can grant easy access to more powerful passports. 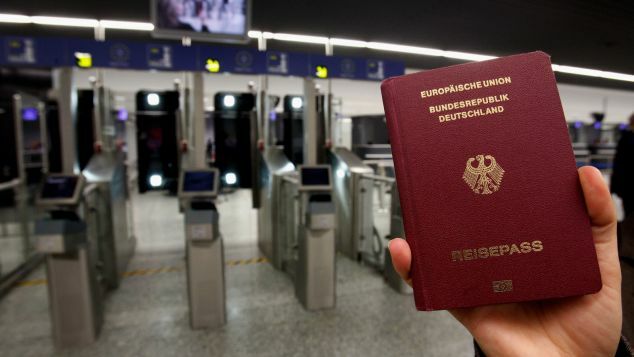 “Generally CIPs draw individuals from countries whose passports offer very limited abilities to travel, such as China, Russia, and Middle Eastern countries,” Nuri Katz, founder of international financial advisory firm Apex Capital Partners, tells CNN Travel. The concept began in 1984, when St. Kitts and Nevis — a two-island nation in the Caribbean — introduced the original CIP. The practice became more popular in 2009, when the country began heavily marketing its opportunities. 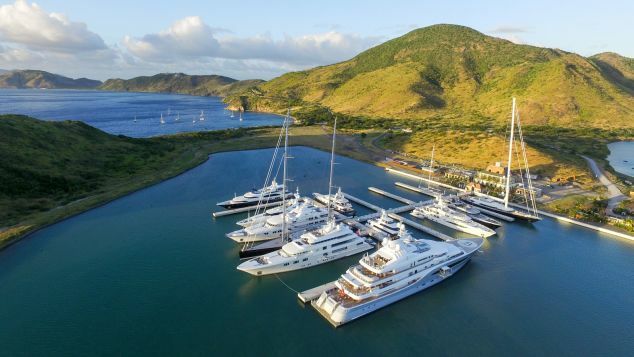 “The St. Kitts and Nevis program is the oldest in existence, so it is considered to be the platinum standard,” says Katz. Over the years, such programs have become more standard in developed countries as well — the United States, Canada and the United Kingdom offer versions, as do a few countries in Europe. “There’s still a small percentage of countries, likely around 15, actively marketing versions of CIPs,” says Katz. He is also a citizen of Antigua, because he purchased a home — where he now resides with his family. “I pursued citizenship in Antigua because I found a good school there for my son,” he says. It might seem easy to shell out the money and stock up on passports, but the rigorous application processes can take months — if not years. Perhaps unsurprisingly, the US CIP program is among the most difficult to obtain. Applicants must fulfill a five-year residence requirement before being eligible to apply for citizenship — which is not guaranteed. “All nationalities are eligible for the investor immigration program in the US — most applicants are from China, but many are from Iran, Nigeria, Russia, Mexico and Egypt,” says Katz. CIPs range from $100,000 in the island of Dominica to a minimum of $2.4 million in Cyprus — and the best passports, in terms of mobility, tend to be the most expensive. “Cyprus is among the most expensive for a number of reasons. For one, the right to live in Europe is considered to be of high value,” explains Katz. Other popular passports include Portugal, where the country’s Golden Visa Program provides a two-year residency permit and a fast-track to citizenship, extending the courtesy to immediate family. 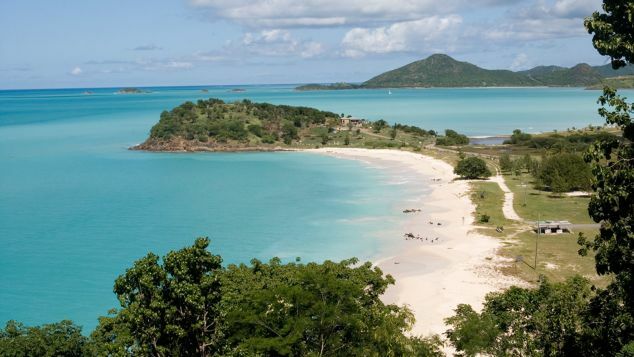 Meanwhile, countries such as Antigua and Barbuda, in the Caribbean, are cheaper — with just a $200,000 contribution into its National Transformation Fund required. However, there’s an additional $50,000 fee for a family of four. If you’re already scoping property in Cyprus or Portugal, a CIP is like a two-in-one deal. You’ll walk away with a chunk of ownership in a new five-star resort, as well as a new passport. Instead, he or she might feel it’s a worthwhile investment to purchase $600,000 in government bonds in Bulgaria and enjoy seamless travel to 140-plus visa-free countries — in turn making travel significantly more efficient. “Business travelers need the ability to be highly mobile and not be restricted by requesting visas to all the countries that they need to travel to,” says Katz. Americans can hold multiple passports, but if they want to avoid US taxes — or double-taxation, for those living abroad — they must renounce their citizenship. “Many find it frustrating that America taxes its citizens even if the person lives abroad, making it one of only two countries to do so,” says Katz. Or they might consider the investment a sort of security blanket — a back-up plan in case of sanctions, war, or natural disasters. “It’s considered somewhat of an insurance policy among the many high net worth individuals who believe in both financial diversification, as well as diversification in terms of citizenship,” he adds. “It shows that one has reached a certain financial level that allows them to invest in a second citizenship,” says Katz. The only high-net worth group who’s not collecting passports? Billionaires. “Billionaires usually will have taken care of these issues when they are still ‘simple’ millionaires,” says Katz. The upsides of CIPs provide economic support for capital-starved countries and personal perks for investors. But they’re not without controversy. Kate Hooper, an associate policy analyst at the Washington DC-based think tank Migration Policy Institute’s International Program, says the mixed reception of these programs involves a government’s commitment to tracing income sources. “The exact due diligence procedures tend not to be publicly disclosed, and numerous reports have raised concerns about how effective these processes actually are at screening people and rooting out dirty money,” says Hooper. “These programs do not ensure a win-win solution to the problem of capital scarcity in poorer countries,” explains DeMartino. “They are just as apt to represent beggar-thy-neighbor strategies — and this problem is exacerbated when the country with the CIP is relatively wealthy and the investors come from relatively low-income countries,” says DeMartino. “Programs such as these threaten to diminish political fraternity by affording special privileges to the already privileged,” explains DeMartino.